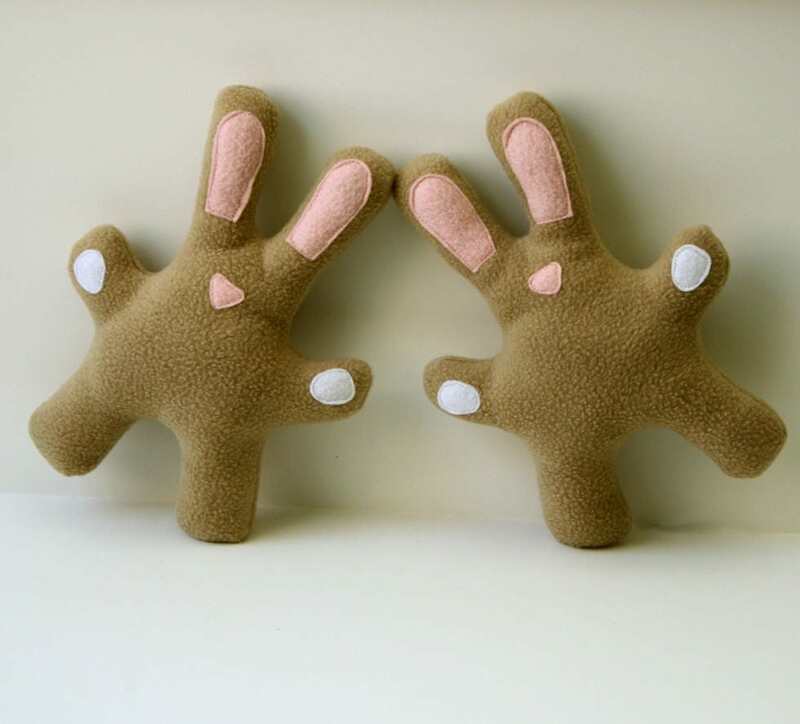 Your pup will love this adorable tan fleece bunny squeaky toy! Peter the bunny is made from no pill (made in the USA) polyester fleece and is machine washable and dry-able! He's stuffed with 100% recycled polyester stuffing and has a bellowed squeaker (they're squeaky-er and a little more rugged) inside. He measures 9" high by 7.5" wide. His features are acrylic felt. All of his seams are sturdily machine sewn. No toy is indestructible. Please supervise your pups playtime. you will receive one toy. These are just great, and the dog and 2 cats agree! I can personalize any denim balls and bones with names or sayings. I can also add button holes to clothing for harnesses or collars. Please read measurements of clothing carefully before purchasing. Let me know if you have questions. I am no longer offering wholesale.